Save time and money. Handle shipping the easy way. Why do sellers love eBay labels? eBay labels is the easy, streamlined way to handle shipping for your eBay sales. 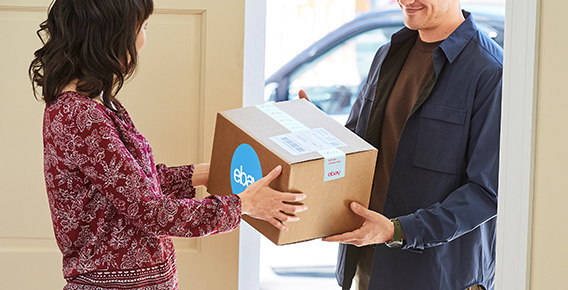 Manage all your shipping needs—from printing labels to paying for shipping to scheduling pickup and more—without ever leaving your home or office. Save on USPS and FedEx. Order free shipping supplies, including co-branded eBay/USPS boxes and envelopes. Tracking is uploaded automatically and sent to your buyer. Print pre-populated labels from any printer, from your computer or mobile device. Arrange carrier pickup from your home or office. Managing shipping is easy in My eBay or Seller Hub. Print up to 50 labels at a time. Choose your preferred carrier: USPS or FedEx. Enjoy a variety of shipping products and services at great discounts to fit your business. Use ShipCover insurance for peace of mind when shipping your orders. eBay labels can save you time and money no matter the size of your business, whether you're a nationwide retail business or new seller. If you sell mostly on eBay, you'll pay for and print your labels within My eBay or Seller Hub on eBay.com. 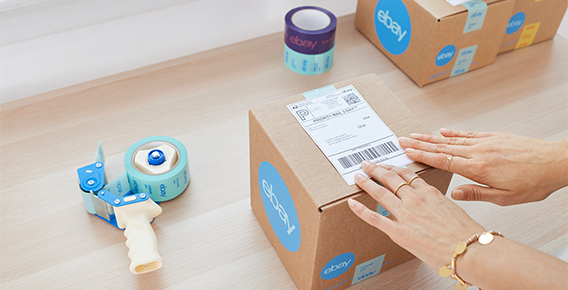 If you're a merchant selling across multiple ecommerce marketplaces, you too can enjoy the savings and convenience of eBay labels, thanks to the eBay Shipping Partner Platform. Once your item has sold, go to the Sold section in My eBay, find the item, and click "Print Shipping Label." Enter the weight and dimensions of the package you're shipping. Need help calculating shipping costs? Try our shipping calculator or watch this video. Select a carrier and shipping method. Be sure to note those great discounted rates you get with eBay labels. 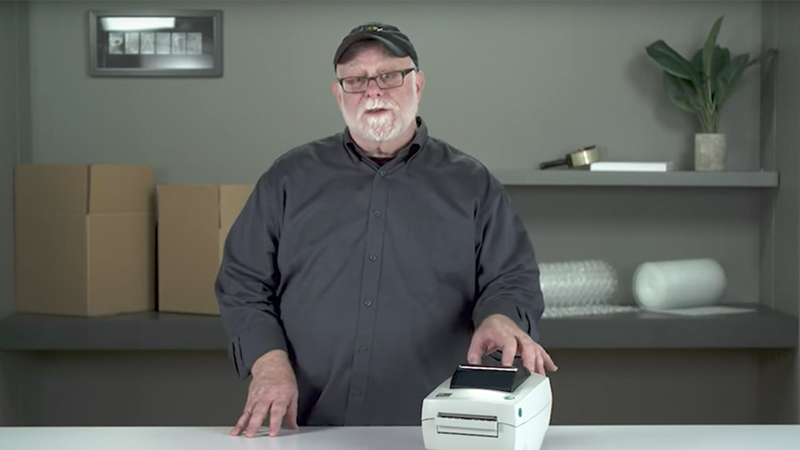 See how seller elegantKB saves time and money with eBay labels. Can I print labels for FedEx, USPS, and UPS using eBay labels? You can print both FedEx and USPS labels right on eBay. Tracking information is automatically uploaded to My eBay. If you ship using UPS, visit www.ups.com/ebaysellersavings to join the UPS Saving Program for eBay Sellers. Tracking information is automatically uploaded to My eBay. What shipping services are available with eBay labels? Can I print labels in bulk on eBay? Yes. To choose your printer and customize how your shipping labels print, click 'Label preferences' from your My eBay Selling page and select from the dropdowns. My label didn't print properly. Can I reprint it without paying? Yes. If your label did not print correctly, you can reprint it at no charge. I printed a label but am not going to use it? Can I void the label and get a refund? Go to My eBay and click Shipping Labels under Sell. In the Actions column click 'Void label'. Follow the instructions on the Void your shipping label page. For FedEx labels printed on eBay, you are only charged for the labels you use - no need to worry about misprinted or destroyed labels. With UPS, you are only charged for the labels you use, but must void a label if you don't use it to avoid being charged. Can I print shipping labels for buyers outside the U.S.? Yes. U.S. sellers can print international shipping labels using eBay labels. Customs forms are pre-filled with key, up-to-date information. You may also choose to use the Global Shipping Program. Can I request carrier pickup?